Thanksgiving is next week. For many Americans in the United States and in other countries, they may be celebrating either in a small setting with just the immediate family with a small meal, or you may be celebrating in a grander scale. There are individuals who are traveling to meet with family, or just staying at home. Everyone who celebrates the holiday celebrates it in their own way. In most cases, each can come with their own stresses. Today, we will take a look at these scenarios and offer ways on how technology can help you for Thanksgiving this year. The first challenge for traveling on Thanksgiving is making sure that you get on the correct flight in a timely manner. There are many applications in the app store that help you with keeping your flights in order and tickets all in one place. As you already know, Passbook allows you to hold airline tickets in one place, however we will take a look at third-party applications to see how they can offer some assistance. TripIt – This free iPhone application allows you to not only keep your trip information in one area, TripIt also allows you to create a working itinerary to ensure that your travels go as planned. My TSA – To ensure that your time in the airport is a short as possible, it’s important to make sure that everything you have in your carry-on is allowed. My TSA for iOS offers packing tips, FAA operating statuses, and carry-on tips. Priceline Negotiator – On Thanksgiving, rental cars and lodging is a hot commodity. You are lucky to find something, but this doesn’t mean that you can’t get a deal with what you find too. Priceline Hotel and Car Rental Negotiator allows you to do so for free. Thanksgiving is all about food. However, not everyone can always cook. Technology of today can turn anyone into a Martha Stewart level cook though. Today, we will take a look at a couple of applications, not all that are centered around Thanksgiving, that allow you to make amazing dishes, the perfect turkey, and great desserts. All include step-by-step instructions as well. Epicurious – A recipe veteran, Epicurious has always been a popular destination for those wanting to make their meals pop. Epicurious isn’t focused on one type of cuisine, so this allows you to truly make your Thanksgiving your own. Chow Thanksgiving Dinner Coach – This application gives you multiple Thanksgiving related recipes and meal ideas, plus tips on how to create the perfect Thanksgiving turkey for your dinner. 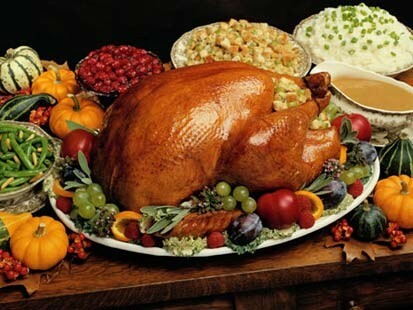 The holiday season as a whole is a time of heavy eating, however Thanksgiving is certainly considered the kickoff event. From pumpkin pie to fried turkeys, you aren’t necessarily eating the most healthy foods. While there are many individuals who say that Thanksgiving isn’t a calorie counting holiday, where going off the routine is encouraged, there are many individuals (for example, diabetics) whose health is dependent on healthy eating. These apps make calorie and intake counting much easier to do. Calorie Counter by FatSecrets – Get caloric information through manually scanning or entering meals, exercise and weight track, and also have a food diary all in one application. Lose It! – Lose It! incorporates your exercises and meal intake to calculate a final caloric total of not just intake but also calories burned. This allows you to not only see what you are intaking in a bad way, but also the progress you are having.